This is a super quick dessert or snack which you can whip up in seconds. 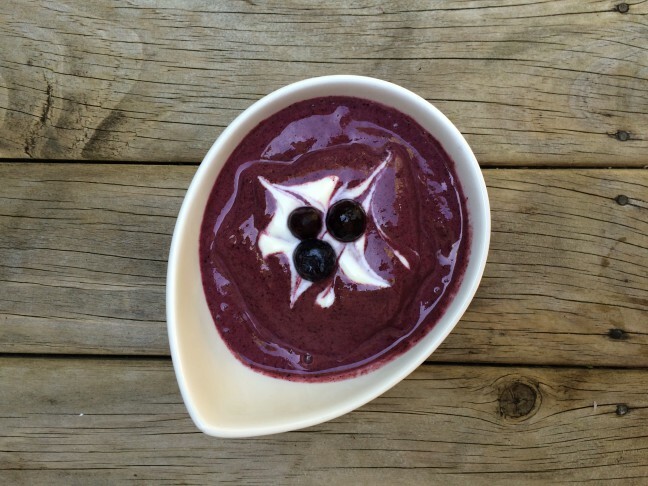 Simply blend banana, blueberries and natural yoghurt. You can also add a few almonds, walnuts or any other nuts you like for extra fibre and a dose of healthy fat.